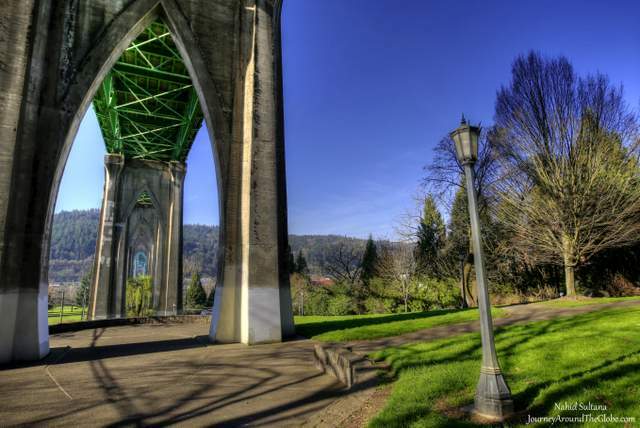 Cathedral Park and St. John’s Bridge, Oregon: As I am exploring Portland and its surroundings, I came across some pictures of Cathedral Park recently. And ofcourse, I had to pay a visit there. Weather has been pretty nice and warm past few days here. 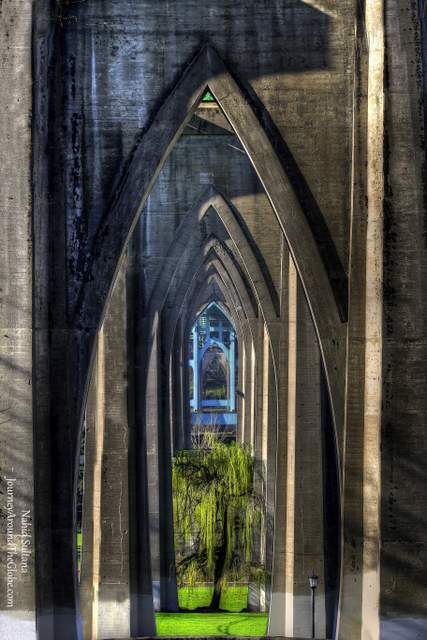 I drove about little more than half an hour to go to Cathedral Park and check out the historic St. John’s Bridge. It was still little early in the morning, around 9 when I reached there. Some joggers, runners, and chatters were enjoying the park with no disturbance. Giant St. John’s Bridge left me in awe after looking at it. It’ a majestic steel-suspension bridge from 1929 with two tall Gothic towers. 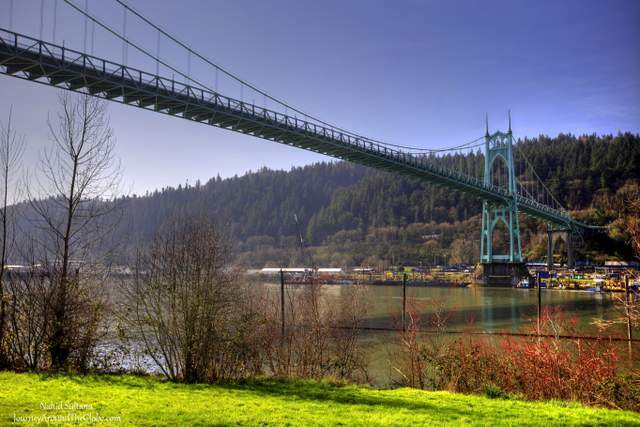 Willamette River runs underneath the bridge. The park itself is located in the middle of a small neighborhood by River Willamette. It didn’t seem so big but was a perfect place to enjoy an early spring morning by myself.